I'm Ned Shashoua and I'm from Boca Raton, FL. I'm a freshman at Northwestern University studying pre-med, so lots of biology and chemistry, but I've also been taking psychology and spanish classes. I joined the fraternity of Zeta Beta Tau, of which Andy was a former president and Jacob Sherman is a current brother. - Cubs and Bears cause Dad's got Chicago roots. Jumped on the Heat bandwagon when Lebron came but I'm ready to jump off after this season. - Camp's had a massive impact on my life. I'm goin' on 10 summers and have built relationships with some really great people, with a lot of unforgettable experiences along the way. Even as a staff member, I think I learn something new about myself every summer, and I definitely think that camp has instilled positive values in me that I would lack without it. I could never give back to camp as much as it has given to me, but I'm very grateful and extremely excited that I have the opportunity to spend at least one more summer in the Northwoods. Lookin' forward to another awesome summer! Hi everyone my name is Max Sinton this will be my 9th year back at camp, I am from Deerfield, Illinois and I am currently a Senior at Deerfield High School. I play lacrosse for my school which I love to do it is my favorite sport, I am also a part of the schools DECA club which is a business marketing club. In the fall I'll be a freshman at the University of Kansas. I love to play sports of all kinds and have fun whenever it is possible. At camp I will be instructing Disc Golf and Land Sports. -I would bring a fishing pole, a lacrosse stick, and a funbug for whenever I get too bored and decide to go home. - The Chicago Bulls, Bears, and Blackhawks. The University of Kansas Jayhawks, and the Swansea City football club! - It's a tie, glens game or NSZ. - I would butter finger although it's a tad rich. - The gift of life was a good one! - Camp has impacted me in many different ways. Camp taught me to take on new responsibilities and roles that I never thought I would have to do. Camp got me to try new things that have turned into some of my favorite activities to do today. But one of the best things camp has done was create all of the friendships and memories that I have that will last forever. Hey all! 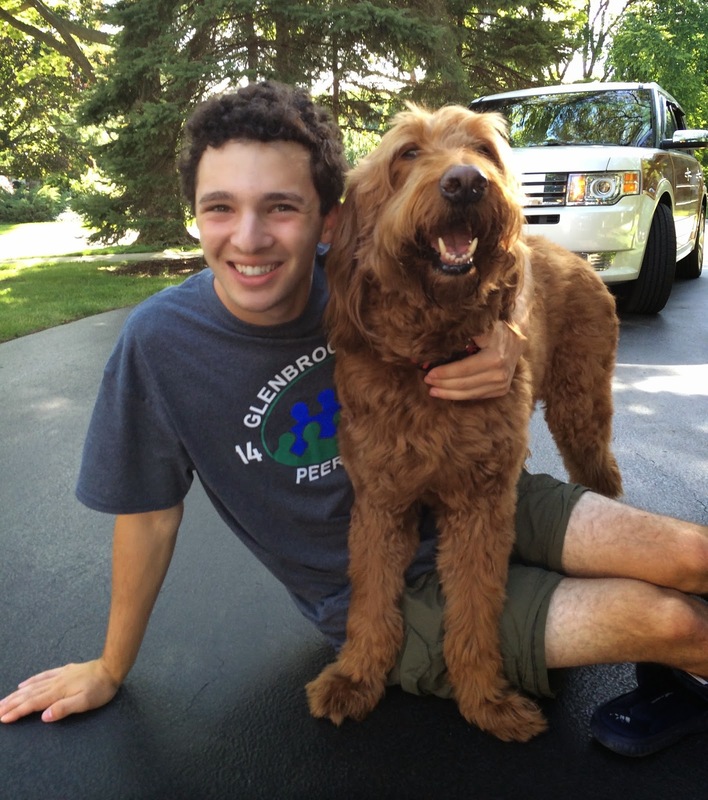 My name is Zack Shapiro and I will be a junior counselor for the second session of camp! I am currently a junior at Francis W. Parker. Right now I am spending most of my time studying so that I can start applying for college next year. I am also preparing to take the ACTs again in Early June. 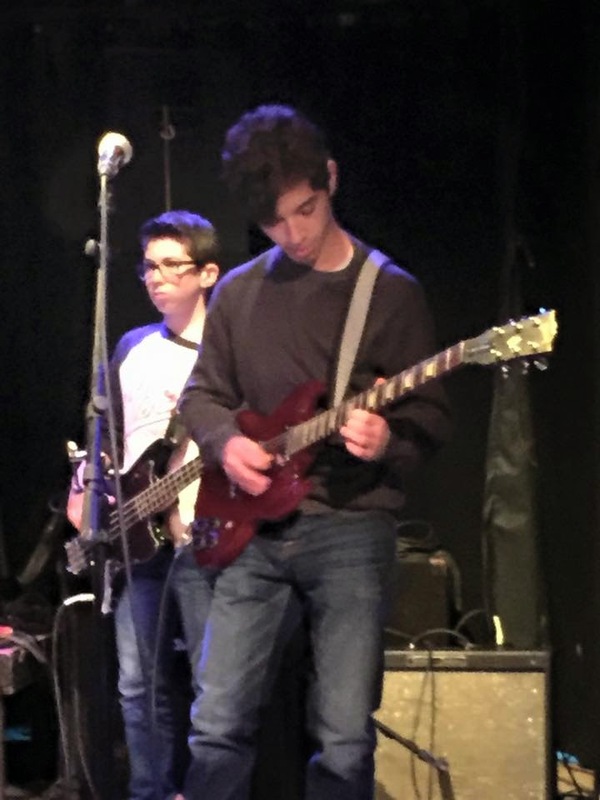 Outside of school, I am at school of rock. I will be playing guitar in a show through them in May, which will consist of all 70s and 80s soft rock (Hall and Oates, Steely Dan, Eagles, etc.). I hope this helps! This will be my 8th summer here at North Star and I am so excited to be working here. I generally teach riflery, rock climbing, guitar, and sometimes fishing. - My favorite spot is definitely the council ring! - John Frusciante of the Red Hot Chili Peppers and Quentin Tarantino. - The Chicago Black Hawks! - I would love to go fishing in Australia! - Always the Reeses Peanut Butter Cup pie! - My Taylor acoustic guitar for Chanukah. - I feel as though camp has made me a much more patient person. I have also become a much more empathetic human being as I am able to understand what people are feeling. Finally, camp has given me the ability to sleep comfortably on any surface! Keith Helling joins us for his first summer at camp. A native of Montrose, IA, he went to the University of Iowa for his undergraduate degree in Health and Human Physiology. Keith is currently at Western Illinois University getting his masters degree in Kinesiology. Keith has done quite a bit of coaching, both at the middle school and high school level. At WIU he's taught weight training, stress management and fitness courses. He's also done quite a bit of camping and travel across the US with family members and he's hoping to make it to Australia one of these days. 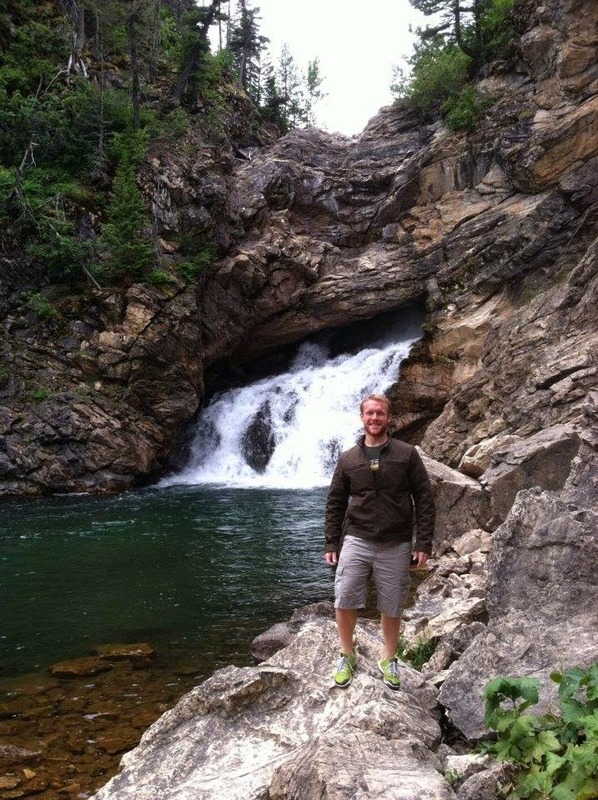 We're excited to have Keith at camp as a climbing and fitness training instructor. - I learned about North Star when I went to the WIU summer camp fair. After talking to a number of different camp representatives I really liked the opportunities North Star offered. I thought it would be my best fit. - I have two dream jobs. One of my dream jobs is to coach at the USA Olympic Weightlifting Center. My other dream job is to be a science teacher and coach football as well as track and field. - Stan Lee and Bruce Wayne. The cool thing about Bruce Wayne is that he’d probably pay for lunch. - I would go to Lake Sebu Seven Falls in South Cotabato of the Philippines and ride the zipline. - Hammock to relax, a solar powered chain saw to cut down trees, and a satellite phone to order pizza. - The Iowa Hawkeyes of course ;), and the Green Bay Packers. GO PACK GO! - Working on my great uncle’s farm when I was 11 years old because it was my first job. - I stayed in Macomb, Illinois to go to school. - My whole life I’ve tent camped countless of times with my family and friends. I’ve gone on two three day camping canoe trips. In the summer of 2016 my best friend Justin and I will be bicycle riding/camping across the US. My Name is Isaac Nierman but everyone calls me Ike. I hail from Wilmette, Illinois and am apart of the track team at New Trier. My events are High jump, Pole vault, and sometimes Discus. In my free time I like to hang out with friends and play basketball. This will be my second year on staff at camp and my 9th in total. I'm super excited to continue instructing Biking and land sports at camp, and I'm even more excited to see all the people I get to spend my time with over the summer, while meeting some new ones! - A snorkel, as much watermelon as a man can carry, and some tunes to pass the time. - My favorite spot at camp is definitely the lakefront! So many things to do, and a great view! - I'm a die hard Bulls fan, but I root for all the hometown teams. - Espionage Espionage Ooh Ah! - I would definitely go to Africa, there's so much there that you can't see anywhere else! - Camp has really impacted me as a person. It taught me that you should always go at life with a smile on your face, and that when times are down, you can look to those around you for help. And of course it taught me that I always have the most fun! Hi everyone! My name is Ethan Handler and I am from Northbrook, Illinois. I am currently a senior at Glenbrook North High School. I am on the varsity tennis team, math team, and student government. I am also an avid baker and love dogs (my goldendoodle’s name is Dash). Next fall I will be attending the University of Virginia, where I will be studying biomedical engineering. I am so excited to be back at North Star for my 8th summer! At camp I instruct climbing and tennis. - The top of the climbing wall. Up there you can see all of North Star laid out in front of you. In the late afternoon or early evening, you can see the sun setting on the lake. - The St. Louis Cardinals! - I would travel to Barcelona, Spain. I would relax on the beach, play tennis on clay courts, and eat tons of delicious Spanish food. What’s your go-to-pie at the Norske Nook? - Camp has helped me develop friendships that will last a lifetime, pursue passions I didn’t know I had, and create amazing memories. Most importantly, though, camp has taught me how to become a better person and how to be myself. Chad Prater returns to North Star for his third summer. He graduated last May from Winona State University, where we first met Chad there on one of our staff recruitment trips. He was actually going to meet with another camp that wanted to hire him to be a tennis instructor, and when Dan overheard that Chad was also a certified swim instructor (WSI), he made sure to pull Chad over for a quick conversation. We were lucky that Chad choose to join the North Star staff! Originally from Edgerton, WI, Chad graduated with a degree in Education. He's just about to finish his first year teaching math at the Twin Cities German Immersion School in St. Paul Minnesota. At camp you can find Chad teaching swimming and instructing tennis. - Any Wisconsin team and any team that Kevin Durant is on. - I would travel to Europe and visit all the War memorials and sites. - Anything with peanut butter in it. - Probably one of my tennis racquets. - Camp has impacted me in so many ways it is hard to put it into words. I have met so many great people that have changed me in so many positive ways. I have had so many great experiences that I will never forget. North Star has given me a home away from home with a family that supports me. David Shakno will be back for his eighth summer. A native of Shaker Heights, OH, a suburb of Cleveland, he is currently a senior at Shaker Heights High School. He's finishing up his college search process and is hoping to make a final decison soon about where he's headed in the fall. During high school, David has run for the cross country team and been very involved with his school’s student news organization. David is also a huge Cleveland sports fan. At camp for David and you can often find him instructing waterskiing and softball. If you could travel anywhere in the world, where you go and what would you do there? -I would travel to any tropical island. Once there, I would build a snack bar and spend my times relaxing on the beach. What’s your go-to pie at the Norske Nook? -North Star is what I am always looking forward to during the year. Camp has shaped who I am and created friendships that I will always have. Brody Poss is another of our first year staff members from Wisconsin. Originally from Appleton, WI, Brody is currently a freshman at the University of Wisconsin - Madison. At UW he's studying engineering. 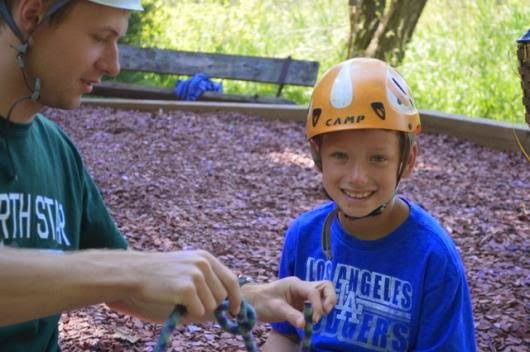 As a kid, Brody went to Camp Nanabosho and always wanted to go back as a counselor. We're glad that he'll have that opportunity at North Star! Brody is from an outdoors family. As a kid, they went on lots of camping trips. He played football growing up, but also was involved with theater and DECA in high school. 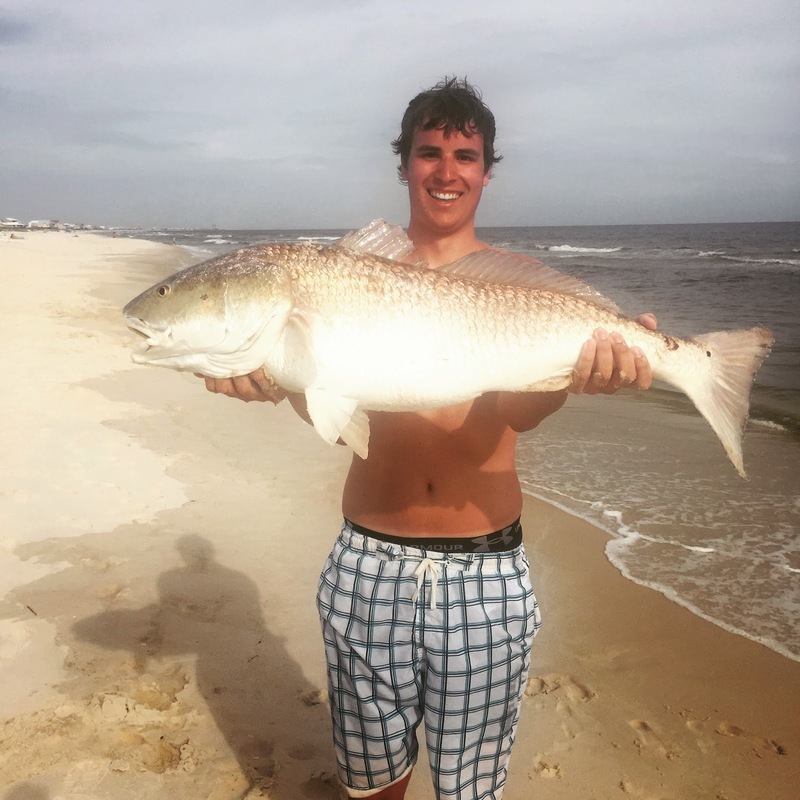 Brody has lots of skills and at camp he'll be instructing riflery, football, fishing...and we'll probably find a few other things for him as well! -I learned about Camp North Star via the fishing and hunting club at UW-Madison. I decided that I would apply because when I was younger I attended summer camps and absolutely loved them. I also told myself that I wanted to become a counselor someday and I saw this as my opportunity to live up to a dream I have had since I was 10 years. -If I could do anything in the world, my job would be a hunting or fishing guide all over the world. -If I could have lunch with any two people they would be; Mark Wahlberg and JJ Watt. Mark Wahlberg because he is my favorite actor due to the fact that he can play almost any kind of role and then JJ Watt because I admire his work ethic, compassion and the fact that he is a fellow badger. -If I could travel anywhere in the world I would go to Australia. Once there I would go on a safari and then just go hang out on the beach the rest of the time, while listening to people's awesome Australian accents. -If I were stranded on a deserted island I would bring my fishing pole, my iphone to call for help, and a knife in case there are predators on the island. -Well since I attend the University of Wisconsin-Madison, I'm a huge badger fan. 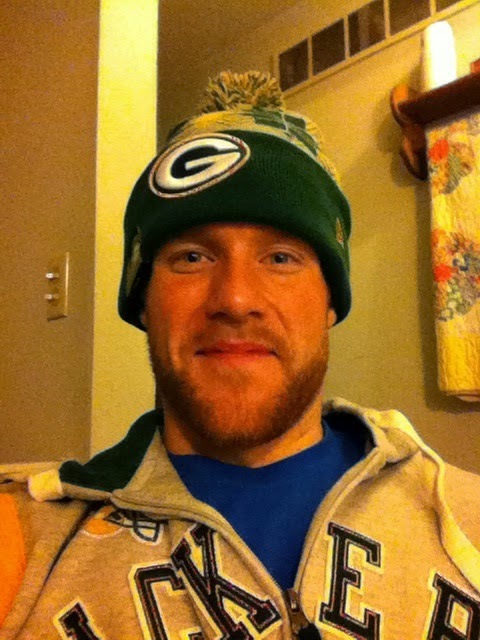 I also am a big Packer, and Brewer fan. Any team Wisconsin related I guess. -I worked at an inflatable bounce house place for about a year, it was awesome. I raced kids through inflatables and played in the arcade a bunch. -Last summer was my last one home with all my friends so I spent a lot of time with them. We spent a lot of time up north where we did a lot of fishing, swimming, and skiing. I also spent a week in Las Vegas with my family which was a blast. 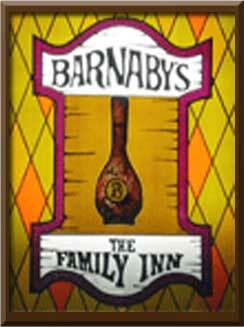 -My family has always been a very outdoor friendly family. My dad had me hunting by the age of 9 and I've been fishing since before I can remember. As a family we have gone on many camping trips both living in tents for weeks to living in a cabin for a week. Since I was young I always had a passion for the outdoors, which is a big reason why my mom signed me up for a YMCA summer camp when I was 9. I loved it so much I went 3 more years. I am now an avid outdoors man myself and love to go fishing, hunting, or camping whenever I get the chance. My name is Benjamin Savoy and I am outgoing guy. I love watching sports and hanging out with friends. I'm from Encino, CA and am a sophomore at Notre Dame High School. I have a passion for tennis, which is why I am on my school’s Varsity tennis team. Outside of school I umpire little league baseball and teach math to young kids. I love going to the beach and swimming in the ocean. I enjoy helping others and I am a very open guy. I'll be instructing tennis and other athletics at camp this summer. - A book, Sun tan lotion, and a Rubix Cube. - The lodge because it is where everyone meets as a community. - 1. Jackie Robinson and ask him what was his motivation for perusing his dream to become a baseball player. 2. My grandma who is 95 years old and I haven’t seen her in 10 years. - San Francisco Giants, New Orleans Pelicans, and the New York Giants. - I really enjoy Glens Game. - I would go to New York City because I love seeing the beautiful city during the night. - My grandfather came from Florida and surprised me. - Camp has been the gateway to many special and unique friendship bonds that I still retain today from my first years at camp. From Highland Park, Illinois, Noah Winkelman Broutman returns to North Star for his 7th summer. 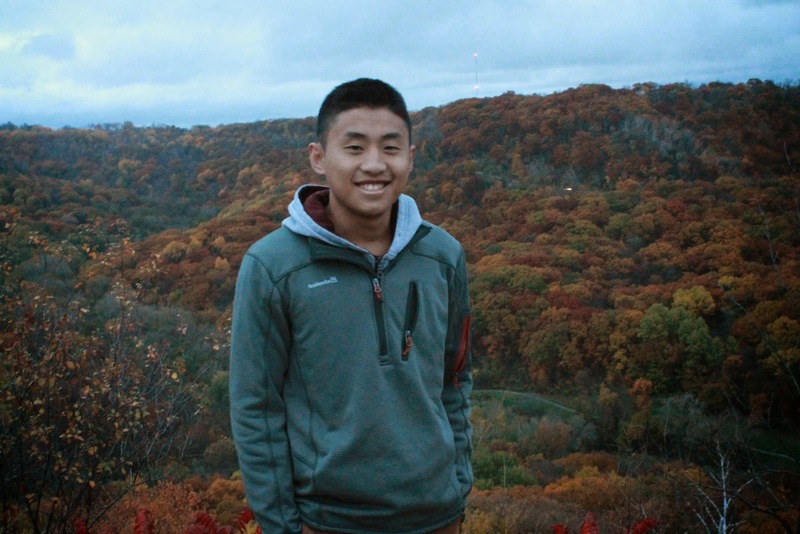 Noah is a junior at Deerfield High School where he is on the Varsity Bowling Team and participates in his schools environmental, diversity and peer helping club. He is also a photographer for the yearbook and a member of the Honor Society. This past winter Noah was on the basketball courts assisting in the Deerfield Warrior Buddies basketball game. There, Noah helped special needs kids play a fun game of basketball against other schools. 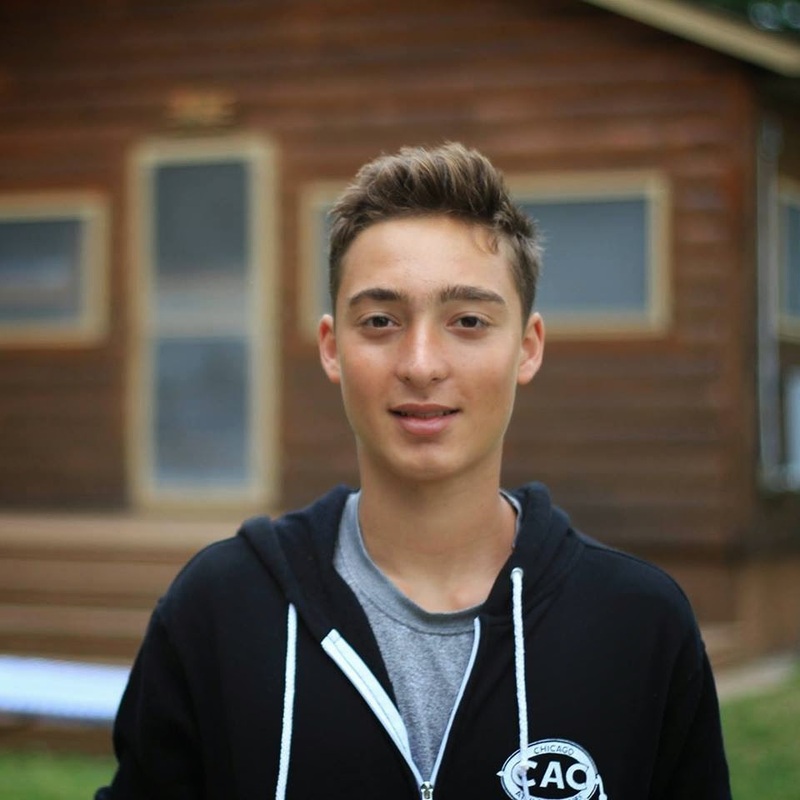 At camp, you can find Noah teaching riflery, tennis and other activities. Noah is stoked for the summer to begin and can't wait to return for summer number seven. - A frisbee, a funbug and some buddies. - I got a pet guinea pig years back. - Where do I begin? Camp has taught be so many life lessons and skills such as responsibility, teamwork, sportsmanship and leadership. I have learned to put others before myself. I have learned this values while getting to have an unbelievable experience filled with fun and memories. Camp is something I will never forget and I could not imagine my life without it. 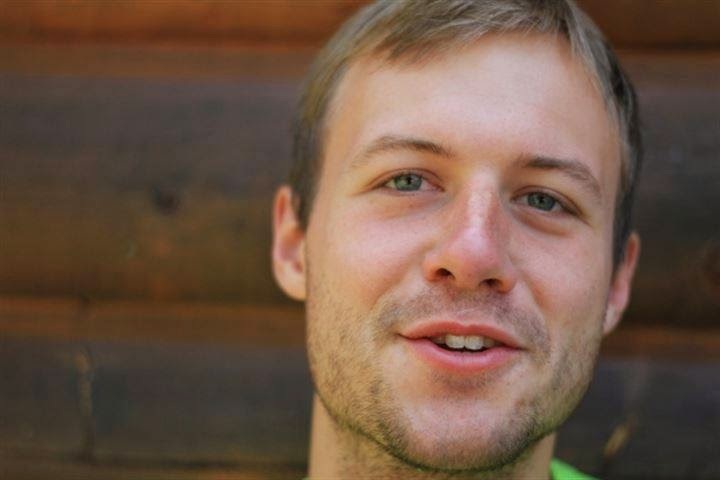 Zach Weber returns to North Star for his ninth summer. A native of Chicago, he's been doing quite a bit of traveling lately. He's went to Park City, UT for a skiing trip with friends. In January he was in Costa Rica on a two week community service trip. While there he helped a mother with her new house, painting it. He also helped build her a pizza oven so she could start her own pizza business. In December he went to Hong Kong and Thailand for two week for winter break. His favorite part of the trip was the food in Thailand--very spicy, very good! Zach is currently a junior in high school. 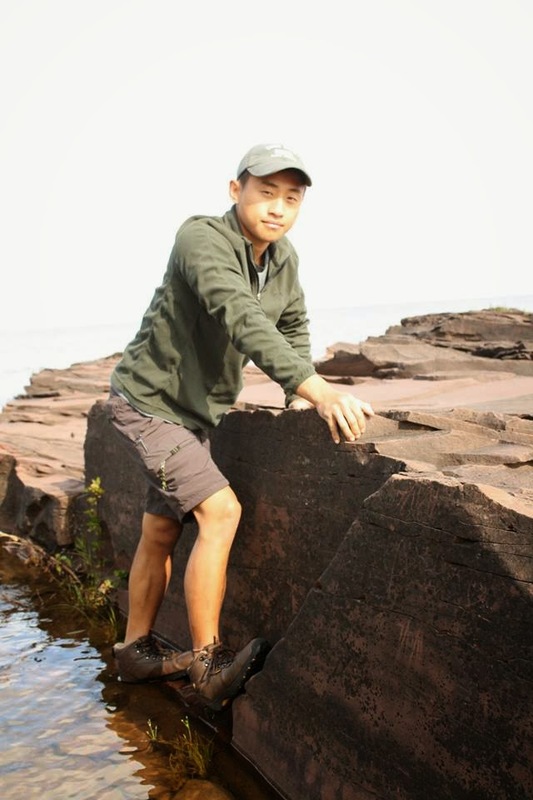 Besides racking up frequent flyer miles he's known for his climbing and fishing skills. At camp he'll instruct those projects as well as disc golf and riflery. 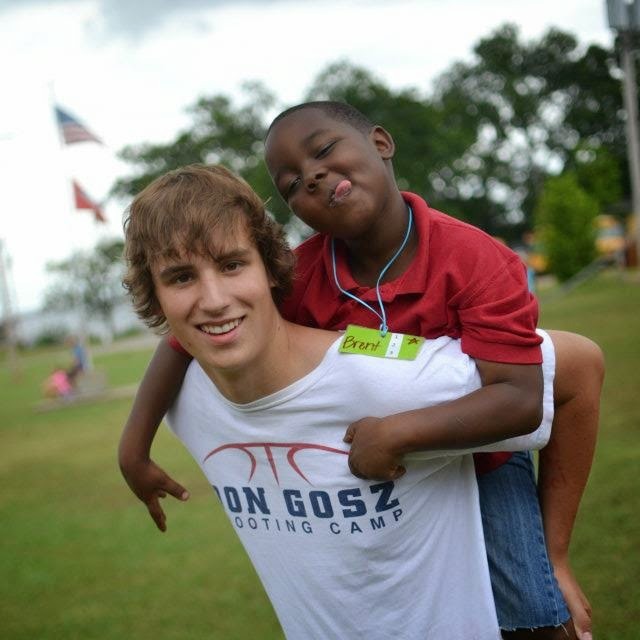 We're excited to have Zach back at camp this summer! - I personally like the lost campsites along the ridge. - Organized free, although I do like Espionage. - Iceland to fly fish its rivers and see glaciers. - My mom once took me to New York with one of my best friends for a few days as a belated Hanukkah present. That was pretty fun! - Camp has impacted me in several ways--too many to count so I'll just list a few of them: It has given me the ability to know how to interact in a mature setting with other people my age, camp has taught me life-long skills such; skills such as a new sport, how to overcome obstacles, and how to execute a leadership role. In addition, North Star has given me life-long friendships with campers and counselors all across the world--which I think is pretty awesome. 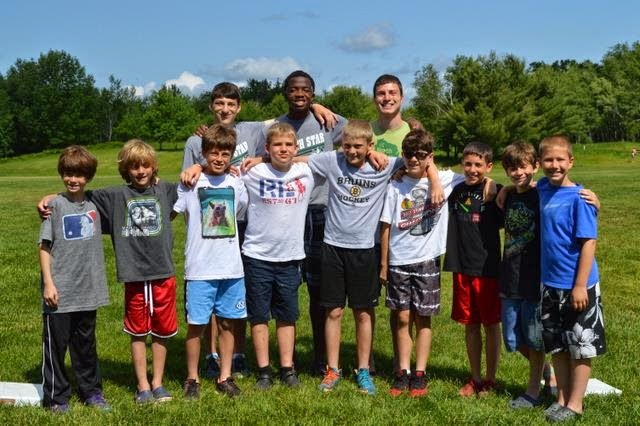 Camp has made me excel in sports such as rock climbing, disc golf, and even sailing and has given me access to a diverse variety of countless others. North Star for me is a resource; a resource in which I use to choose how my summer will be spent, and ultimately, what experience I can take away from it.